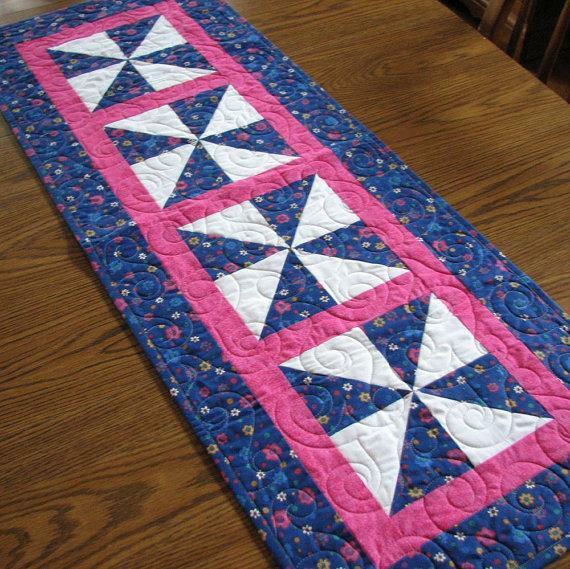 This tablerunner is made with a light blue floral and bordered with a bright pink fabric. 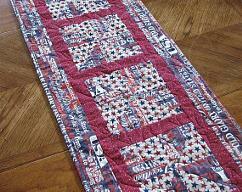 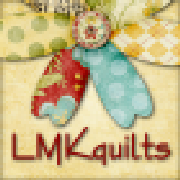 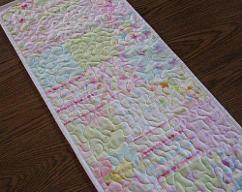 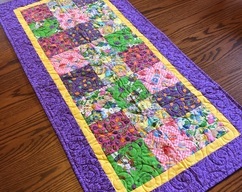 I machine quilted it using Quilters Dream 100% poly batting. 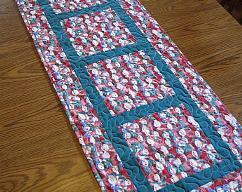 A machine sewn binding was attached.